Alex has delivered talks on adventure and the outdoors to audiences varying from the local Scout group to the British Mountaineering Council. His adventures focus on ambitious, long-distance backpacking journeys in a lightweight and self-sufficient style – but as Alex is keen to point out in his talks, backpacking light is more about mastery than pack weight. 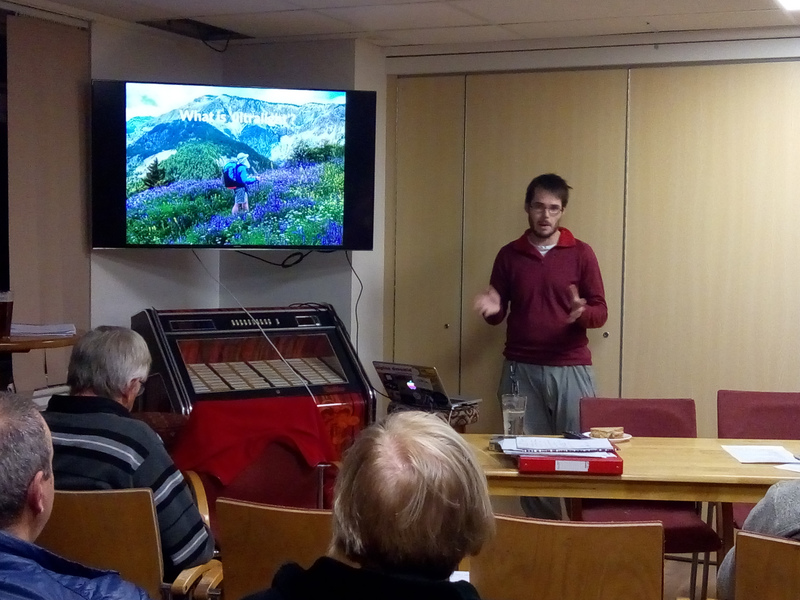 His talk on developing ultralight backpacking skills from a climbing background has been well received by the BMC. The first time he delivered it, he inspired Lynn Robinson, President of the BMC, to sign up for the TGO Challenge (the UK’s longest-running annual backpacking event). Alex Roddie is a widely published writer and editor in British outdoor media. He has contributed numerous features, mapped walks and skills guides to The Great Outdoors magazine (and also runs the website, tgomagazine.co.uk). He’s sub-editor of Sidetracked magazine and has edited many books on mountaineering, backpacking and the outdoors. As a writer and outdoor publishing professional, Alex is available to talk on a range of subjects from getting started as an outdoor writer to the value of specialisation in freelance editing. If you’d like to book Alex for a talk, please get in touch.